30 Second SuperBowl Ad, or...? | adaptifyed™ The Adaptifyed system for monetizing downloadable files is covered by U.S. patents: US9451011B2, US14318109, US15243350, and pending application: US20150007256A1. According to Rocket Fuel an advertiser could have chosen to purchase every available ad impression available on the digital ad exchanges during the Super Bowl for the bargain price of $3.8 million (using an average $1.50 cpm) instead of purchasing the standard 30 second television ad that cost them $4.5 million this year. Which would you have purchased? All 2,542,573,344 online placement opportunities (with a $700,000 savings), or the one 30 second television ad? While it’s logistically impossible (and potentially undesirable) to win *every* bid for media that’s made available on the exchanges (though you could get pretty close with the right bid amounts), we can still imagine a hypothetical situation where, by placing the maximum bid, an advertiser wins every single available bid during the Super Bowl—all 2,542,573,344 opportunities. Assuming an average net cost of $1.50 cpm for that inventory (with high bids to capture more valuable inventory), this purchase would cost an advertiser $3.8 million, $700k less than those 30 seconds of TV ad time during the Super Bowl itself. While the brand metrics may differ, we believe that this method could be slightly more effective at generating conversions and online sales, particularly among consumers who aren’t watching the Super Bowl broadcast for the 30 seconds during which the ad airs. 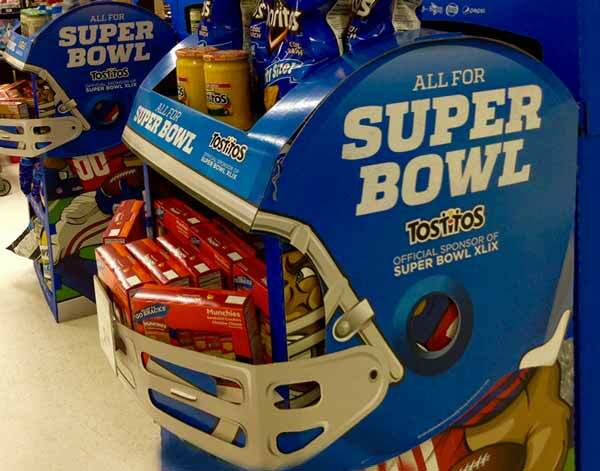 Moreover, with such a massive online burst of audience reach, an advertiser could then deploy tried and true up-sell or reminder marketing techniques across all digital channels, rather than the one-and-done effect of a Super Bowl ad. What the statistics from Rocket Fuel show is that traditional media people still don’t understand the value of online advertising. Can you imagine the impact that even a partial digital takeover of the online advertising during the Super Bowl would have had? I’m not talking about playing only a single ad in all of those placements, but rather a well coordinated, combined advertsing campaign. Now that would have been amazing!